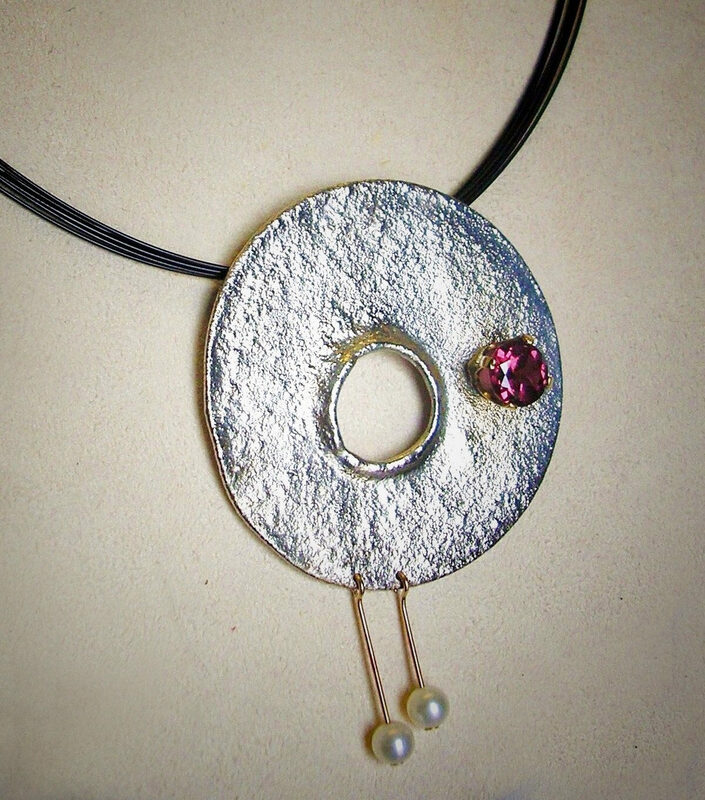 This is a unique pendant created with reticulated sterling silver, adorned with a 6mm round Rhodolite garnet set in 14k yg. Suspended from this by 14k wire are two approximately 3.8mm cultured round pearls. 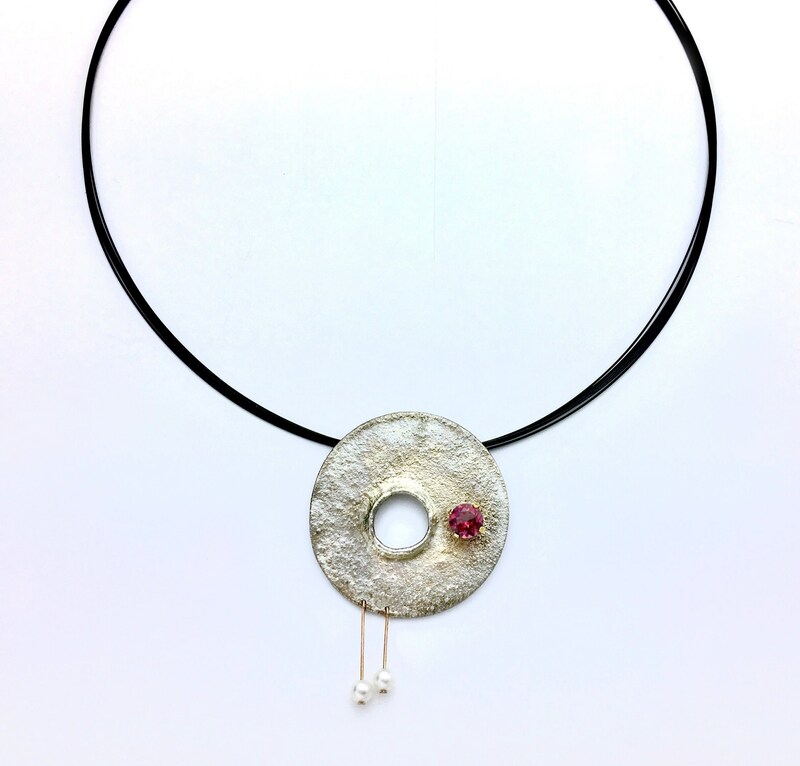 This pendant slides from a 14k tube soldered to the back of the pendant, and moves freely on a black-coated steel 7-strand cable neckwire.